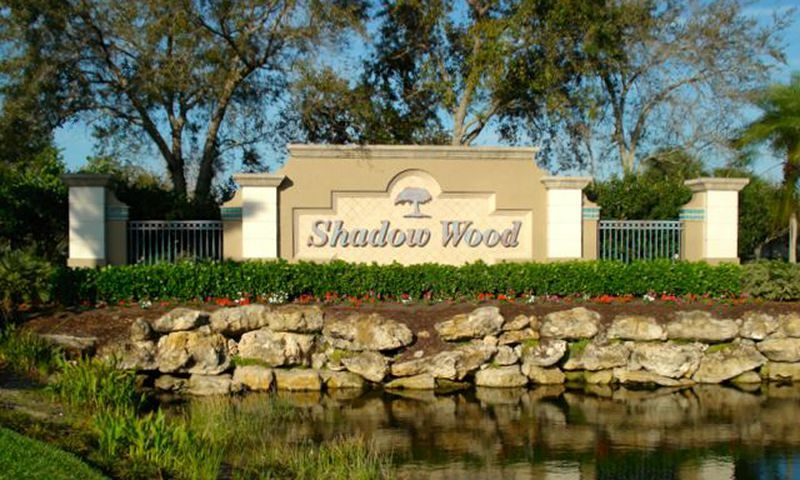 Shadow Wood is a gated active lifestyle community in Bonita Springs, Florida. This great community offers single-family and attached homes on a resale-only basis. Residents of the neighborhood have the option to join either the Shadow Wood Country Club or The Commons Club. Both are private, members-only clubs that offer luxurious amenities. Shadow Wood offers its residents the option to join two unique private clubs. Both the Shadow Wood Country Club and The Commons Club provide members with first-class amenities and a social calendar to keep residents active. The Shadow Wood Country Club is a private club geared towards golfers in the community. With three championship golf courses and a clubhouse full of amenities there is something for everyone at Shadow Wood Country Club. The first membership option is the Clubhouse Membership. Clubhouse members enjoy unlimited social and dining privileges in the clubhouse. The second membership is the Sports Membership. Sports members have unlimited use of the clubhouse, full access to 9 Har-Tru tennis courts, and limited use of the golf facilities. For those looking for a little more golf the Executive Membership is a great option. Executive members have access to all clubhouse amenities, tennis facilities, and golf facilities. Members are also eligible to play in club tournaments and exclusive events. Lastly, is the Full Golf Membership which features unlimited access to all clubhouse amenities, tennis facilities and golf facilities. This membership provides the highest priority for golfers as they are able to reserve tee times up to ten days in advance and are eligible for club tournaments and private events. The Commons Club offers private membership as well. Members enjoy a multitude of amenities including a private beach, clubhouse with fitness center, and endless social activities. Dining options are also available within The Commons Club like Rosie Spoonbill's or members can grill out on one of the beachside grill areas with picnic tables. This active lifestyle community was built between 1998 and 2006 and is comprised of 1,481 homes across 34 neighborhoods. Homebuyers can choose between single-family homes and attached homes. Single-family homes in the community range from smaller villa homes to luxurious estate homes. Each home offers excellent features with golf course or forest preserve views. Some single-family neighborhoods offer low-maintenance living with private pools. Attached homes in the community are offered to homebuyers looking for the ultimate in low-maintenance living. These two-floor residences offer single-level living arranged in buildings with two to four homes per building. All attached homes offer attached garages and have beautiful golf course or forest preserve views. Some neighborhoods offer private pools and all enjoy low-maintenance living. Members of either the Shadow Wood Country Club or The Commons Club enjoy an vibrant social calendar full of events. With over 40 clubs available there is something for all members. Holiday parties are among the favorite events in the community and provide a great setting for members to get to know one another. Tennis and golf tournaments draw big crowds and leagues are available for all skill levels. Between the beautiful Florida weather and all the activities you could think of, the lifestyle at Shadow Wood is hard to beat. The community is located in Lee County, off of Coconut Road. Just a few miles from Highway 75, residents have easy access to other parts of Florida. The Naples-Bonita Springs area offers a myriad of shopping, dining, and entertainment options. Homeowners enjoy the close proximity to many beautiful Gulf Coast beaches. When traveling farther is required, Southwest Florida International Airport is just a short distance north of the community and is serviced by all major airlines. Golfers, nature lovers, and those looking for a beautiful year-round climate will love this active lifestyle community in Bonita Springs, Florida. A Membership is required to use the luxurious amenities within Shadow Wood Country Club. The Commons Club offers excellent resort-style amenities. Membership to this club is required to access the amenities. There are plenty of activities available in Shadow Wood. Here is a sample of some of the clubs, activities and classes offered here. Attached coach homes in the community are offered to homebuyers looking for the ultimate in low-maintenance living. These two-floor buildings offer single-level living arranged in buildings with two to four homes per building. All coach homes offer attached garages and have beautiful golf course or forest preserve views. Some neighborhoods offer private pools and all enjoy low-maintenance living. Please Note: Floor plans are not available at this time. Shadow Wood is a wonderful neighborhood. We are members of the Country Club and I would highly recommend it to anyone. The homes here are very well cared for and the community is very well maintained. Pride of ownership shows and resale values are steady or rising. All of the amenities are top notch. It is a great place to call home! 55places.com is not affiliated with the developer(s) or homeowners association of Shadow Wood. The information you submit is distributed to a 55places.com Partner Agent, who is a licensed real estate agent. The information regarding Shadow Wood has not been verified or approved by the developer or homeowners association. Please verify all information prior to purchasing. 55places.com is not responsible for any errors regarding the information displayed on this website.